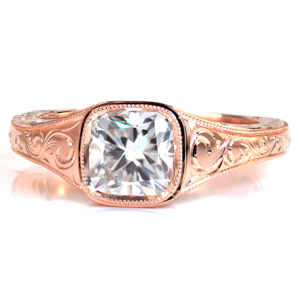 Our unique line of filigree engagement rings feature beautiful scroll work done in platinum, rose gold, and yellow gold. 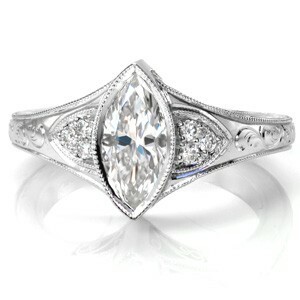 Our styles are reminiscent of Edwardian and Victorian era designs. 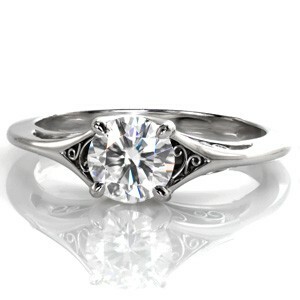 Our filigree is made by hand from wire and is not cast. 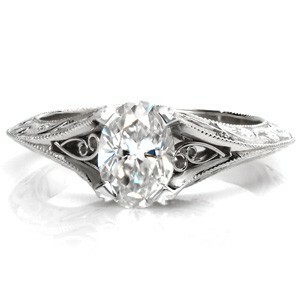 Filigree can be the primary focus of a design or a simple embellishment. 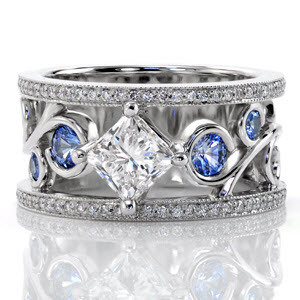 Diamonds and other precious gemstones can be flush set into the scroll work to add another dimension of beauty. 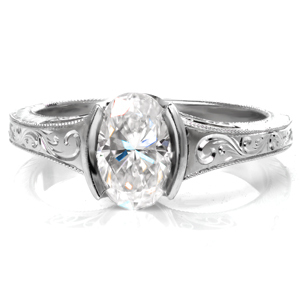 The Filigree engagement ring is an artistic ring setting where beautiful designs can accent the main stone or create a design in itself. 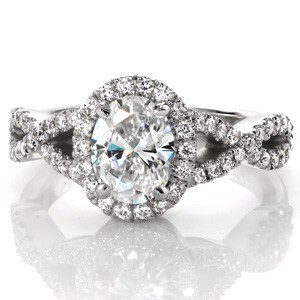 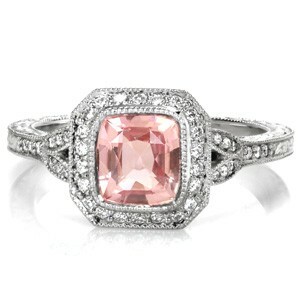 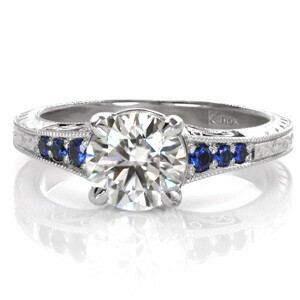 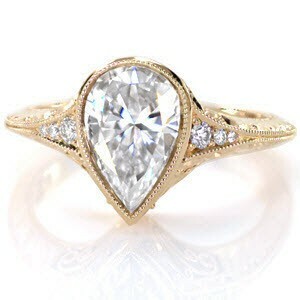 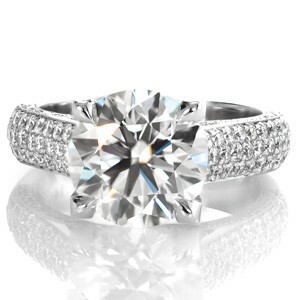 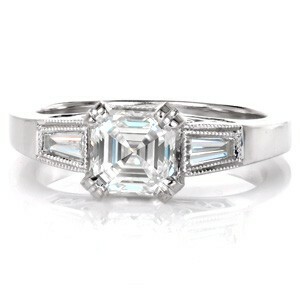 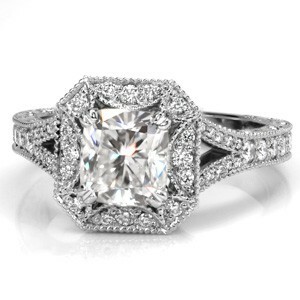 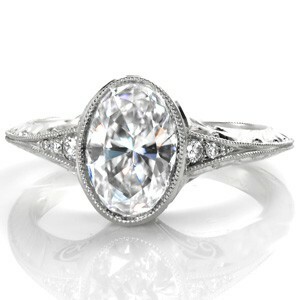 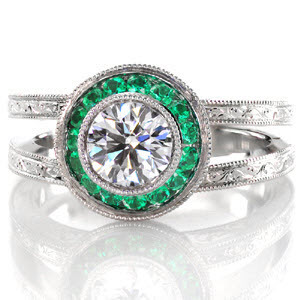 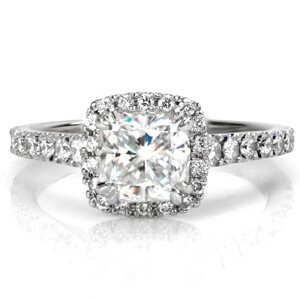 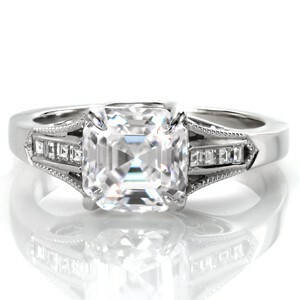 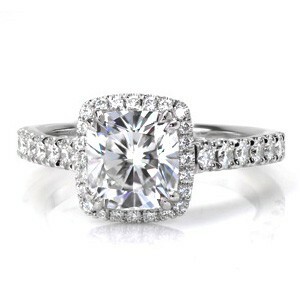 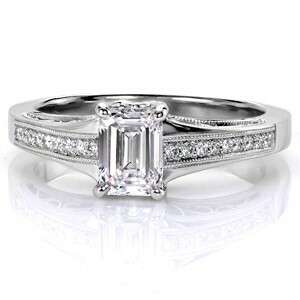 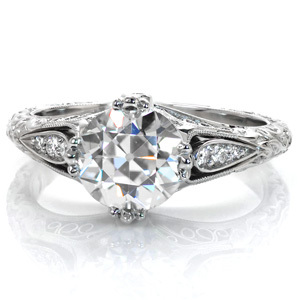 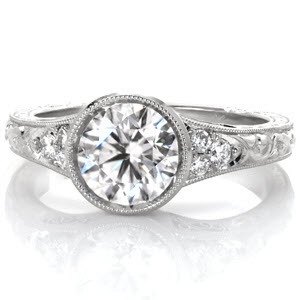 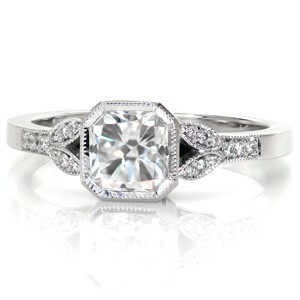 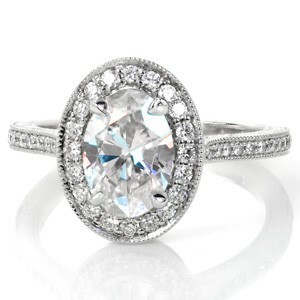 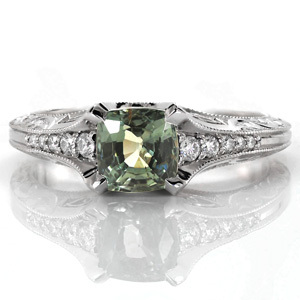 It is one of the most creative ways to design an antique or modern engagement ring. 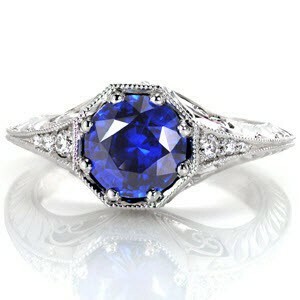 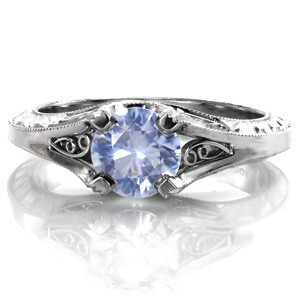 The most beautiful vintage rings in the world are Filigree. 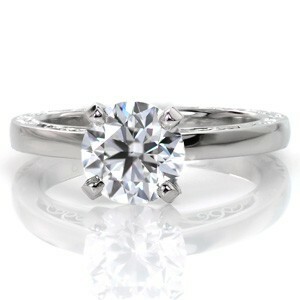 Our level of quality is unsurpassed. 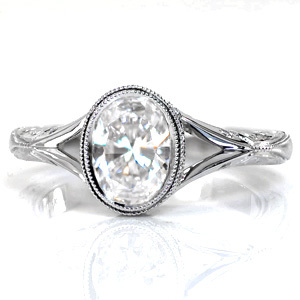 We focus on bringing you the most beautiful rings, cutting edge tools, artistic creativity and decades of experience. 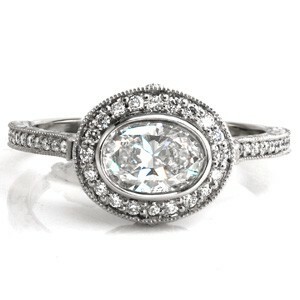 If you have any questions regarding your antique wedding ring, we look forward to helping. 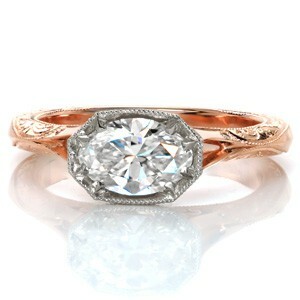 Read more on our filigree engagement rings here.